Though predicting how a small-cap mutual fund would react in a particular situation is tough, following these tips would ensure that you are atleast prepared for sudden concerns that come up. Investing is not as easy as it sounds. It requires asignificant amount of research and effort to choose the right kind of fund, manage it and earn returns. This becomes even difficult if the funds you choose are easily affected by the market conditions. This is exactly what happens with small-cap mutual funds. They tend to be volatile in nature and thus could confuse the investors with their constant fluctuations. But fear not, there are ways in which you can understand small-cap investments better and thus increase your profits that you get from them. If you wish to succeed in earning good returns from small-cap mutual funds, you need to spend time in researching about it as well. The ones with a proven track record over a period of time are the ones that you should ideally prefer. Small-cap mutual funds are easily affected by market volatility. They tend to fluctuate on a regular basis with every up or down in the market. Thus, to know if a small-cap fund is really performing well, check its performance of the last 5 years. This would give you a fairly stable idea of how the fund is performing under different conditions. Diversifying helps in containing the losses and keeping it at aminimum when the market hits low. Following only one investment style that makes you buy only small-cap mutual funds could lead you in a fix if it goes down. A healthy mix in your portfolio, however, might help you by giving you good returns and profits in other areas even when small-cap hits the bottom or vice versa. Taxation is one of the easily forgotten things when it comes to investment. If not planned wisely, it could even bring your annual returns down by a significant amount as you would have to spend that in paying taxes. Therefore, it is essential that you check a fund’s tax efficiency before investing. Usually, funds that have a long-term steady income would possess better tax efficiency as compared to the aggressive short-term ones. 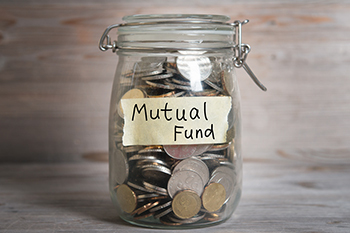 Try and search for some reliable no-load funds while searching for small-cap mutual funds. Although the chances of finding good funds that do not charge the load amount are skim, it is definitely worth the shot. Besides, with more and more investors not preferring loads, the load fund firms are being compelled to lower or eliminate their load amount. This can certainly be an opportunity worth considering for you when investing in small-cap mutual funds. Timing the market is not just stressful but also very risky for both your financial and emotional happiness. This is because predicting the market is very difficult. The market as a whole or a particular sector can have multiple influencers that drive it either up or down. Mapping each one is practically not possible and could also lead to losses if you don’t get it right. It is, therefore, best to stay away from it than get it wrong. Just like losses, short-term gains in small-cap funds could also be temporary. Don’t get lured by the sudden rise in the value to buy more of it. Ensure you weigh the performance over a longer duration to get an unbiased opinion of the performance. This would help you steer clear from these temporary gains and focus on good returns in the long run. As mentioned before, small-cap funds can witness a lot of fluctuations based on how the market performs. That being said, don’t rush to get out of them when the market hits low. Chances are that this might just be a temporary phase and it might rise again. As compared to mid-cap and large-cap funds, small-cap funds recover relatively faster too. Although large-cap funds might offer you the benefit of indexing and comparatively less volatility, in the long run, small-cap funds also tend to perform equally, if not better. Besides, there’s very less a fund manager can do in a large-cap fund however the scope of improvement in a small-cap fund turning into a mid-cap or large-cap is relatively higher. Small-cap funds are easily impacted by almost every change in the market. They are extremely sensitive to the market movements and it could, in turn, lead to ups and downs of your funds. Therefore, ensure that you factor in this aspect before investing. If you have a relatively lower risk appetite then do not dwell much into small-cap funds. Though predicting how a small-cap mutual fund would react in a particular situation is tough, following these tips would ensure that you are atleast prepared for sudden concerns that come up. So follow these tips and invest in small-cap mutual funds today.